As a bass player, you don’t necessarily need pedals to rock out. But sometimes it’s nice to have a little help from effects. Distortion pedals, specifically, can help you achieve a raunchier, heavier or dirtier tone on the fly. And, as a metal player, sometimes you just need that extra dirt. So, here are seven bass distortion pedals for metal guitar and rock. 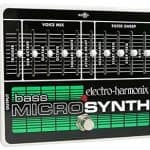 What Should I Look For In A Bass Distortion Pedal? Is There A Difference Between Overdrive, Distortion & Fuzz? For those who want to achieve a positively huge tone. 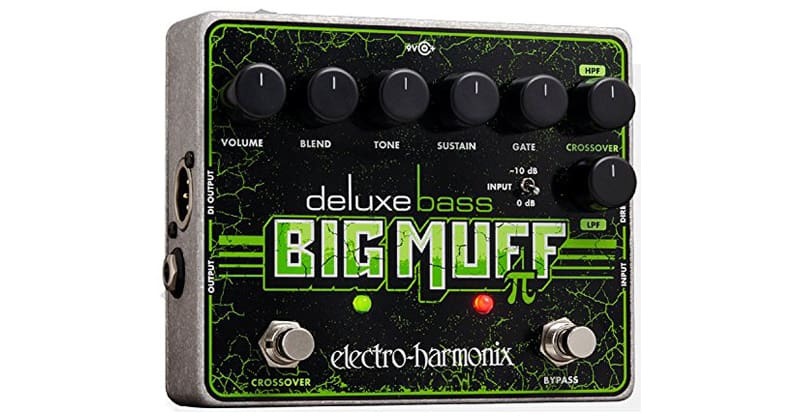 The Bass Big Muff can give you anything from a little extra crunch all the way to full on fuzz. The Volume, Blend, Tone, Sustain and Gate controls give you full control over your tone, how pronounced the effect is, how much hum and noise you want to cut out and more. The Crossover function allows you to engage your high pass and low pass filters. This allows you to do more fine tuning with your tone and these filters can make a huge difference. But overall, this is a simple pedal with no extra fluff, though it does come with more controls than the original Bass Big Muff. The Big Muff isn’t for everyone. Some love it. Others aren’t too crazy about it. But there’s little doubt you can get a killer metal tone with the Electro-Harmonix. 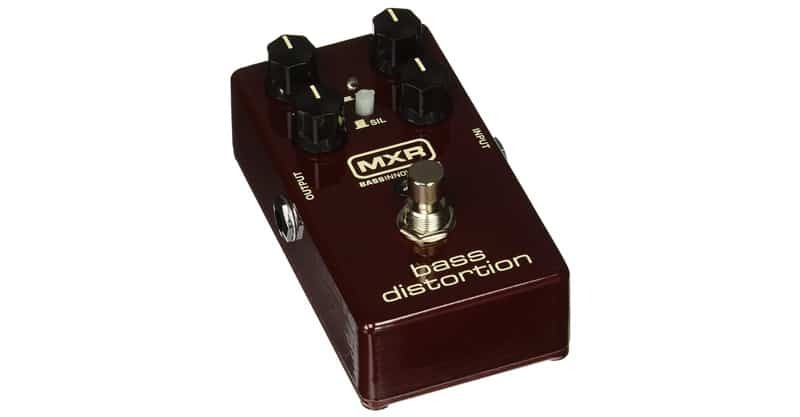 A simple and straightforward bass distortion pedal, the MXR M85 will give you plenty of dirt to work with as a metal player. 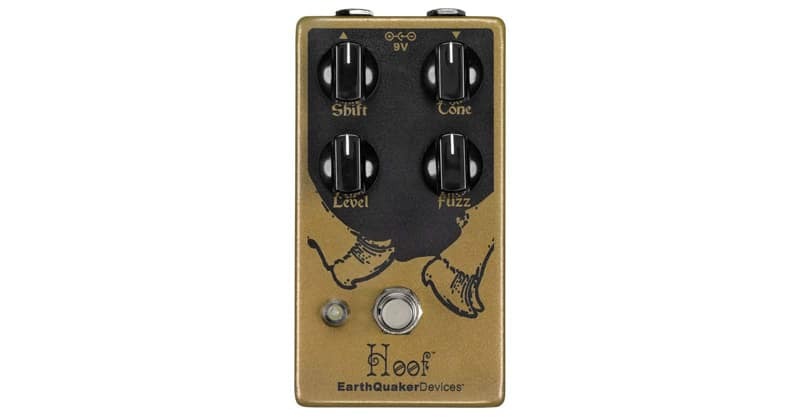 This pedal features a classic distortion that was reworked specifically for use with bass guitars. Its tone is a result of silicon clipping diodes paired with enhanced compression. You can also switch over to LED for a more dynamic tone. Perhaps one of the most useful features of the pedal is the separate Dry and Wet controls, which allow you to dial in the exact amount of clean and dirty you want without having to go through two separate amps. Of course, you can also use the Tone knob to get your bass frequencies sounding just right, and increase gain using the Dist dial. And, these functions are more than enough to help you get a variety of tones, whether you just want a bit of extra gain or you want to go all out nasty. The MXR is worth a look. It may not be exclusively for bass (it sounds great with guitar), but the Green Rhino consistently comes up in best-of bass effects lists. And, that probably has something to do with its 100Hz and 500Hz controls that allow you to shape your tone to better suit a bass guitar. Now, when listening to it, I can tell that it’s a pedal made for guitar as opposed to a bass. But that doesn’t mean it sounds bad. If you like having a sharp, clear attack (which can be useful for riffs and solos that you want to cut through the mix), you’ll like how the Green Rhino shapes your sound. 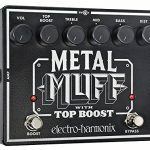 It won’t necessarily give you all out metal mayhem if that’s what you’re looking for but depending on what you envision your distorted bass tone to sound like, the Way Huge might be just the thing you need. 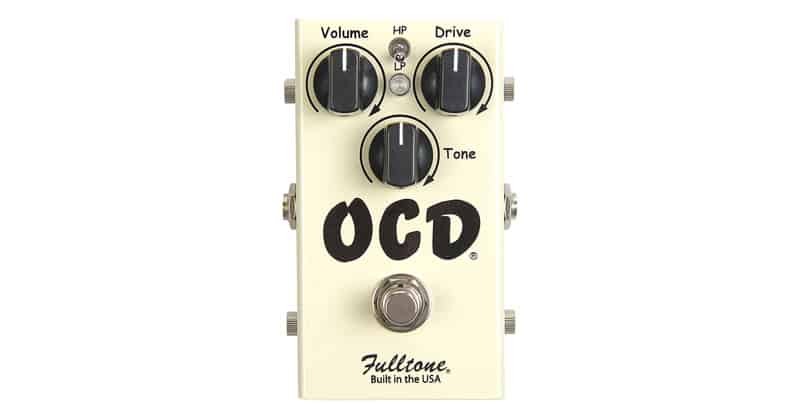 The Fulltone OCD is a no-nonsense overdrive pedal with just three responsive knobs – Volume, Drive and Tone. 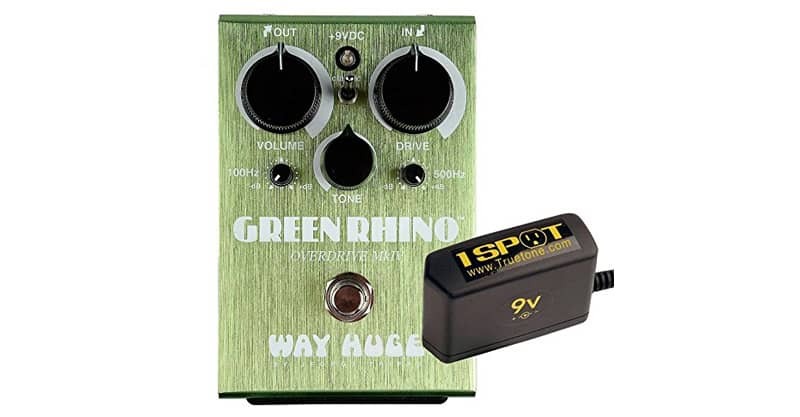 Though like the Green Rhino it’s a guitar pedal at base, the high peak/low peak toggle switch does make it a little more accessible for bass players too. With all the dials at 12 o’ clock, the pedal already cooks. It offers a nice, warm distorted tone with plenty of gain. 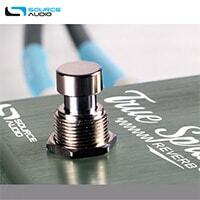 The Tone control will only change your tone slightly, because it mostly affects the high end. But it is possible to achieve more cut with more tone dialed in. With the Drive knob, you can go from a little bit of dirt all the way to full-on muffled. The Fulltone is another great pedal to check out for metal bassists. 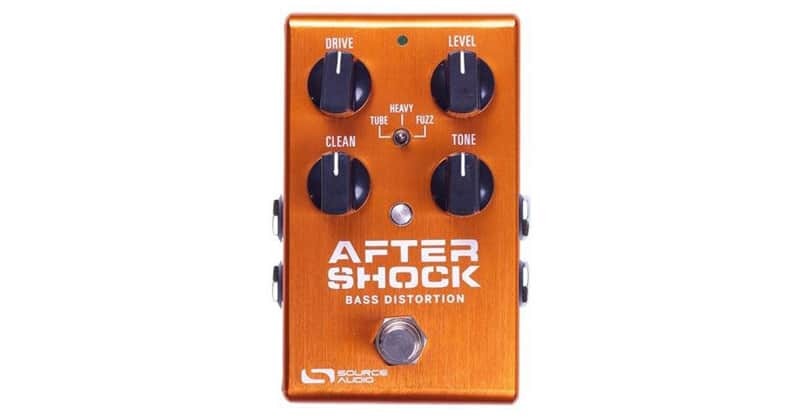 It looks a bit like the MXR M85, and in some ways it is, but the AfterShock is its own beast. 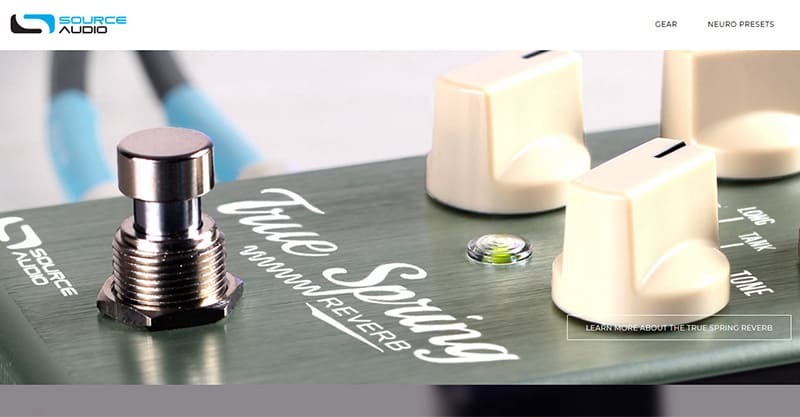 While the Drive, Level, Clean and Tone knobs give you control over your tone, the Tube/Heavy/Fuzz toggle switch allow you to easily trigger three different tones depending on what you need. If all you need is a little extra drive, the AfterShock can give you that. But it wouldn’t be called the AfterShock if that’s all it was capable of. If you want to get full on nasty with the high end, you can crank the Tone knob. And, if you need to go a little warmer, just dial it down. If you want the pedal to roar and break up, then turn up your Drive. The Drive and Tone knobs are both quite responsive on this pedal, helping you enter raunchy tonal territory if you so desire. To me, this sounds like a pedal that was built for bass. And, even the ones that are built for bass don’t always sound that good. Be sure to check out the Source Audio. The Hoof is another pedal that was made for guitar rather than bass. But you plug your bass into it, you might be surprised at the results, especially since this pedal has got a nice midrange punch. If you prefer fuzz over overdrive or distortion, then this pedal is worth checking out. It offers an insane amount of gain and sustain (should you need it), so if you need those riffs and solos to stand out, you’ll love playing with this. Plenty of heaviness can be achieved with this pedal without turning the Fuzz knob all the way up, but if you need full-on metal madness, you should try cranking it all the way up. The Shift knob can either make your tone less or more distinct, depending on what you need your bass to sound like. The Tone knob is also quite responsive even for bass, giving you a fully scooped sound or abrasive highs, should you need it. So, even for bass, the EarthQuaker Devices is a great pedal to add to your arsenal. Boss is perhaps one of the most popular – but middle of the road – guitar pedal manufacturers. 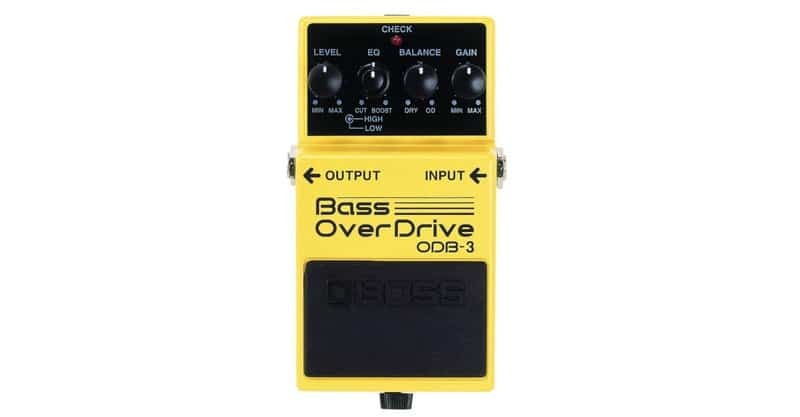 Still, they’ve made the effort to cater to bass players with pedals like the ODB-3. And, to be fair, this pedal is not half bad. What immediately occurs to me is that this pedal has quite a bit of high-end kick. Certainly, you can dial it back, but this abrasiveness could be what turns some players off. At the end of the day, I think it just depends on what you like. Additionally, this doesn’t mean you can’t tame the nastiness. But then again, nastiness is what you’re looking for in a metal tone, isn’t it? The Gain knob can help you achieve a huge amount of sustain and dirt should you need it. If you’re looking for a solid, durable pedal that will do the trick, you should have a look at the BOSS. So, what I would be looking for in a distortion pedal and what you might be looking for could be two entirely different things. As I’ve already shown, sometimes even guitar pedals make for great bass pedals. Still, there are a few things to keep in mind when looking for the right pedal. Here are the most important criteria to be thinking about. As I’ve already pointed out, a great sound is highly subjective. What you think sounds great and what I think sounds great aren’t necessarily going to be in sync. And, the sound you’re using might be perfect for the band you’re playing in, while my sound might be more suited to what I’m doing. The good news is this – there are plenty of video demos out there. So, if you’re wondering how a pedal is going to sound, you can always check these out. Still, the best way to know whether you like a pedal is to try it out for yourself. So, it’s worth going to your local guitar store to test out a few pedals or rent a few and try them out at home. In general, a pedal should sound at least decent with all dials at 12 o’ clock. But the sound should be relatively tweakable. Though you might not have time to adjust your tone between each song on stage, you certainly will in the studio. More knobs aren’t always better. If you know how each of them works, and how to get the pedal sounding how you want it to, more knobs are fine. But it can be mighty confusing if you don’t understand how the pedal works. If you mess around enough with it, you should be able to figure it out, but wouldn’t you rather just plug and play? There isn’t a single pedal on this list that isn’t tweakable to some extent. 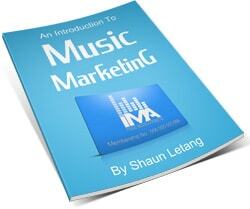 Just make sure you know how much functionality you need to achieve a desired result. Pedals are also called stomp boxes for a reason. You’re going to be stomping on them. So, they should be durable. They should be made to stand up to some abuse. And, in most cases they are. But some pedals feature more delicate parts than others. Make sure you are aware of any issues. Read the reviews and find out if anyone has mentioned problems with parts breaking. Most pedals on this list range from $100 to $200, which shouldn’t break the bank. But there are pedals that cost more. So, when you’re looking at buying a pedal, make sure you know how much you’re willing to spend and don’t go overbudget. If you want to get a more expensive pedal, then save up. Throughout this guide, you may have noticed words like “overdrive”, “distortion” and “fuzz” and wondered whether there was a difference. The short answer is “yes”, there is a difference. First, let’s look at overdrive. People sometimes say overdrive and distortion are the same thing, but they aren’t. Overdrive is what happens when you push your tube amp to the limits. The previously clean sound begins to break up, producing what is now known as overdrive. Given the alternative between making your neighbors angry and causing your ears to bleed versus using a pedal, a pedal is a far friendlier alternative. Now, here’s a basic explanation of what distortion is. Distortion is generally more aggressive than overdrive. It takes your tone and turns into something entirely new. This is what allows you to achieve hot crunch tones and signal-overloading sustain. But there are distortion pedals to suit every style and genre. Finally, here’s a description of fuzz. In a weird kind of way, fuzz isn’t a form of distortion at all. It involves clipping your tone as intensely as possible (square-wave clipping). Compressing the distortion in this way creates an entirely new category of sound. If you don’t want your tone taken over completely by your pedal, perhaps avoid fuzz. But given the right situation, there’s nothing quite like fuzz (take, for example, The Beastie Boys’ “Gratitude”. Ultimately, there isn’t necessarily a right or wrong here. It’s more a matter of what’s right for you. 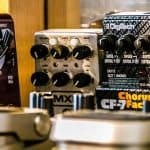 If you aren’t sure, trying renting and experimenting with a bunch of pedals. As I mentioned at the outset, distortion pedals aren’t for everyone. Some bass players like playing clean. Some like using their amplifier to get the exact sound they want. No matter how you got about it, the heaviness you create is yours. Work with your band to come up with a sound you love, because bass alone does not make a band.